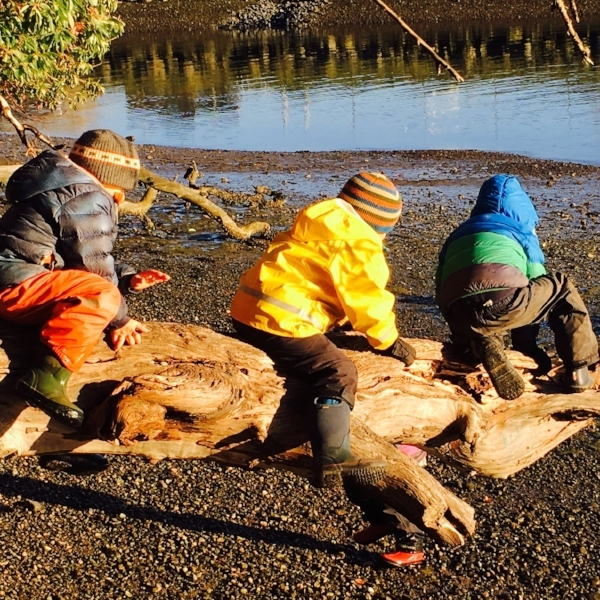 The early childhood programs at Madrona School are full of the magic of outdoor exploration and imaginative play. Our students demonstrate their kinship with doorways to other worlds on a daily basis! In the Salmonberry mixed-age kindergarten, we believe that each individual child comes to us with their own unique destiny and purpose. Though we can’t know what that might be we task ourselves, as educators and facilitators, with availing them the opportunities to build their skills and strengthen their foundational senses. We also know from experience that by our modeling expected interactions and successful techniques, we show them a path to impulse control and higher executive functioning. 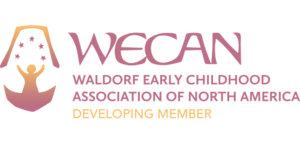 Through repeated rhythms and routines, we foster the sense of connection and relationship to people and place…and we are blessed to witness building confidence within the children to engage in their learning with a lifetime of interest and wonder. In each of these activities, the children wait their turn and practice patience. This is so very important. Patience is exercised in the children anytime you have an activity working together. It is a gift to learn to wait. Each child is unique in their starting place with this skill and all will grow if given the opportunity! These activities also offer opportunity for learning safety rules and for practicing those rules each and every time. Children at this age learn new skills through their engagement, interest, and wonder in the world they see. Through imitation of those around them, they find meaning. Thus it is important that we, as educators, be worthy of imitation in our actions and words. If we are sparing with our word and action, imbuing each with thought and feeling, then we will see the fruits of our work in the children’s repeating familiar phrases, verses and songs as they go about their work and play. If they see us doing the good, important work of caring for our space and each other, we see it reflected in the children’s treatment of one another and the environment.